The role of Australian nurses in disasters: what ‘group’ of nurses should assist? 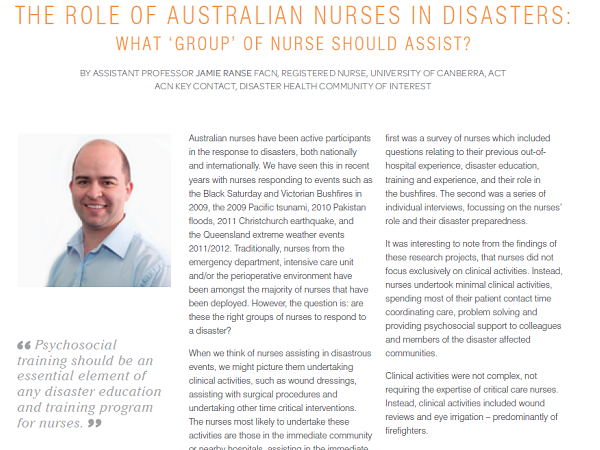 This publication builds on the understanding of the Australian nurses role in a disaster. In particular it focuses on research conducted following the Black Saturday and Victorian Bushfires of 2009. It highlights the need for nurses from multiple disciplines to assist following a disaster.